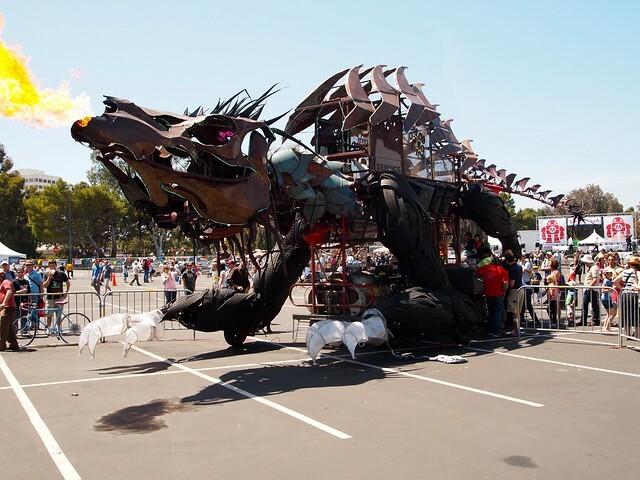 A life-size fire-breathing dragon. A fully robotic calliope band. A full-scale flight simulator built by teenagers. An entire herd of homemade R2-D2s. 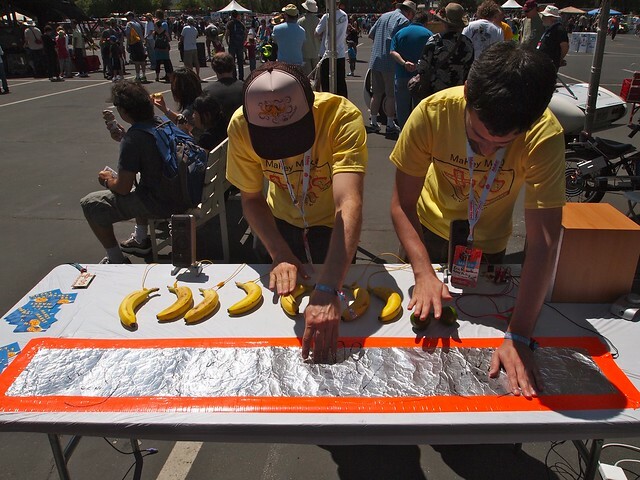 Electric cars, steampunk fashion, a robot petting zoo, a piano made of bananas, and a cardboard Trojan Horse. Plus a zillion different interactive attractions, classes, and events for kids of all ages. 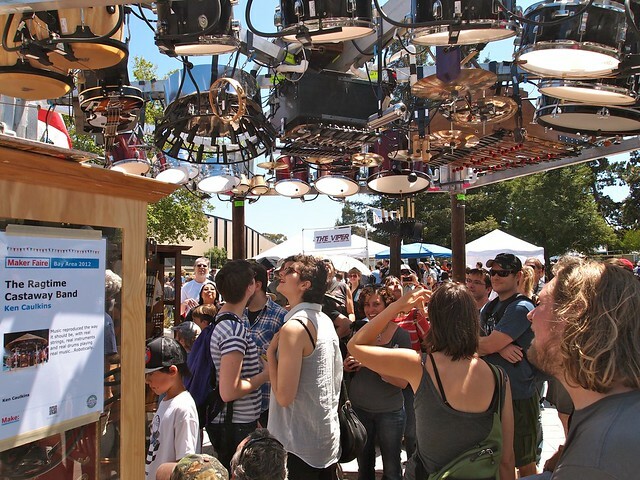 Yes, the Maker Faire is back in town, and only just in time. It was exactly the tonic I needed after my inability to get excited about the Facebook IPO and my ongoing sense that most of the Valley is focused on building meaningless mobile/social/local/scrapbooking sugar water. This was a place full of people building real, tangible things for the sake of sheer awesomeness. Oh–and while they’re at it, almost as a side effect, hidden behind their Burning Man-esque decor is a community and technology ready to turn the whole planet on its ear. But I’m most interested in the economic effects once the maker movement hits the developing world, where the demand for custom parts, recycled materials, and mechanical repairs is immense and inexhaustible. Or consider another of Hatch’s examples: the Embrace low-cost infant warmer which is reportedly on track to save the lives of 100,000 premature babies over the next five years. And we’re just beginning to scratch the surface. 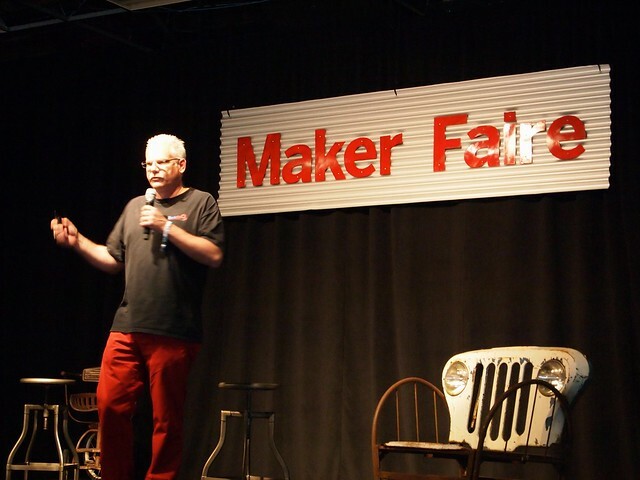 When maker technology and spaces like TechShop begin to metastasize all over the planet, so that anyone and everyone can plausibly build their own solutions to their problems rather than waiting for some industrial-scale corporation to do so, that’s when a lot of lives will really begin to change. And TechShop is indeed expanding, although, alas, only in the USA for now: there’ll be “more than one open on the East Coast by the end of the year,” according to Hatch. The Ragtime Castaway Band, a fully robotic giant calliope band. Laying down a beat with a piano made of bananas and a drum kit built from limes.